- Do you want more happiness, peace, joy, and abundance in your life? - Are you looking out there somewhere for it? Are you waiting for it to show up sometime? - Happiness is an 'inside job'. Our happiness is based on what is in our subconscious minds. 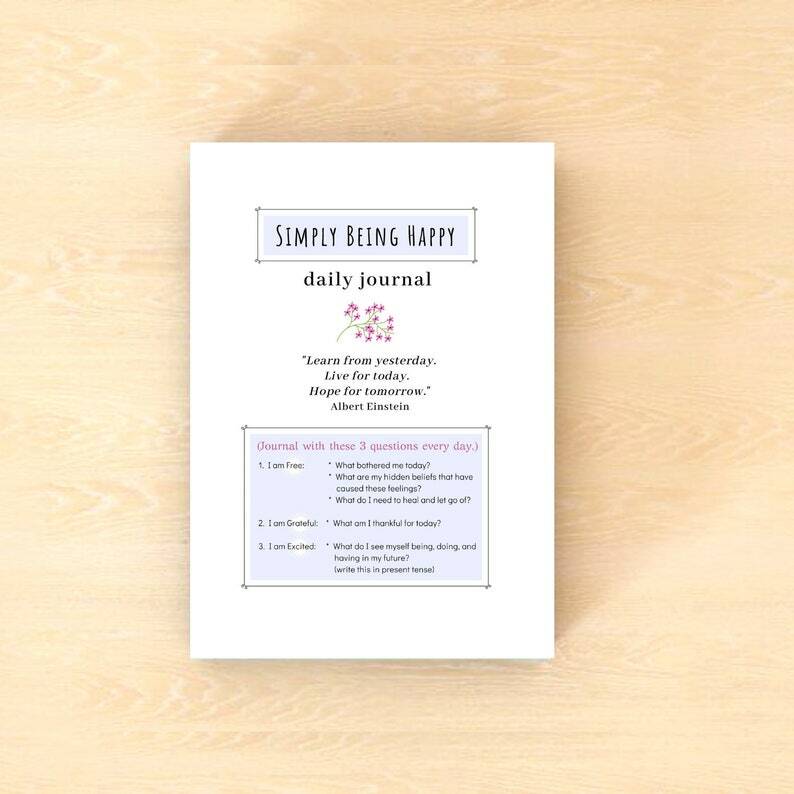 - When you begin to use the innate tools we've been given to tap into your subconscious mind on a daily basis, you can learn to become happier. - This journal seems simple, but it's actually based on years of extensive research. * Uncover your hidden beliefs and habits that are blocking your happiness. Once you bring them to light, that's when you can begin to turn them around. * Realize all that you have now in your life - through gratitude. As Rhonda Byrne says, "Gratitude is the great multiplier." * Get excited for your beautiful future. The way you do this is to see and feel yourself there. We are all meant to grow and evolve and expand - not settle into old age and mediocrity. There's so much more for you to be, do and have! Women's Quote T-Shirt: "Courage, dear heart." Women's Quote T-Shirt: "Who looks outside dreams. . ."
Women's Quote T-Shirt: "inhale the future. . ."
Women'S Quote T-Shirt: "Never Never Never Give Up." Women'S Quote T-Shirt: "Don'T Dream Your Life." Women'S Quote T-Shirt: "Dream Without Fear. . ."
Women'S Quote T-Shirt: "Know Thyself."